Every hurricane season begins with an “A” storm and then moves through the alphabet. Even though the Atlantic Hurricane season is only a few weeks old, we’ve already seen Tropical Storms Andrea and Barry. Cyclone Center is reliving the 2005 Hurricane Season. We started with Arlene and Bret, and now we’re working Cindy. Eventually we’ll get to some infamous storms like Katrina, Rita, and Wilma before we wrap up with Zeta. We didn’t pick these storms to bring back memories of these terrible disasters. They actually play a key role in our project. The Atlantic is the only part of the world with routine aircraft reconnaissance. Hurricane Hunters from the U.S. Air Force and NOAA fly specially designed airplanes into these storms to find their centers and measure their strengths. We’ll be using their observations to calibrate the data we collect from your classifications. 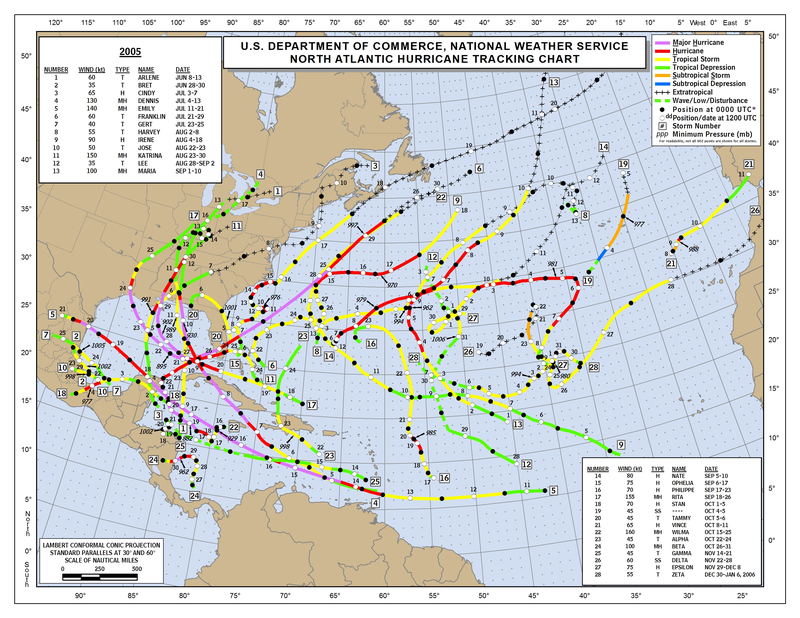 2005 was a record-breaking year with 31 tropical storms, so we have a wealth of data! Courtesy of the National Hurricane Center. Hurricane Cindy formed in the western Caribbean and moved northward across the Yucatan and the Gulf of Mexico on its way to Louisiana. Forecasters classified it as a tropical storm at the time, but it was later upgraded to a hurricane in the “best track” data. Cindy passed just to the east of New Orleans, causing minor flooding and widespread power outages. Little did anyone know that it was just a trial run for Katrina eight weeks later. Hurricanes sometimes spawn tornadoes as the move inland. Cindy was associated with 33 tornadoes across the Southeastern United States. 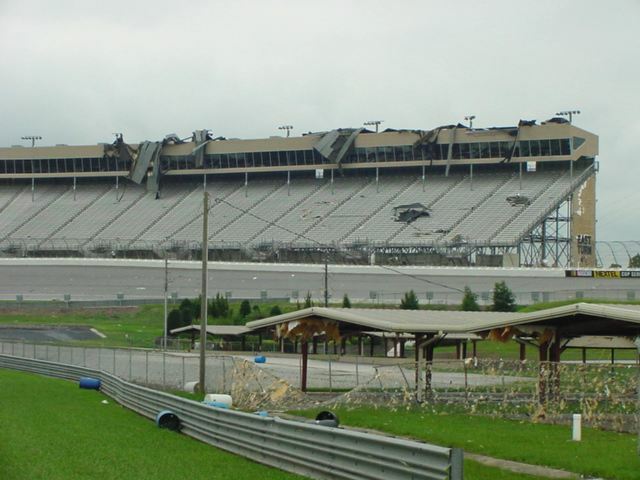 The strongest of these, and F2 on the Fajita scale, damaged the Atlanta Motor Speedway. Courtesy of the National Weather Service, Peachtree, GA.
Log on to Cyclone Center today and classify Cindy.